What Are Capacitors and What Do They Do? We’re almost into heating season now, though judging from the current weather it may not seem like it. The days are only going to get colder as we move towards the end of the year, which means now is the perfect time to make sure that your home is ready for heating season. 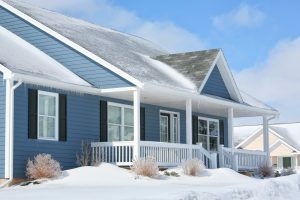 There are a lot of different steps you can take to make sure that your home is properly prepared for the falling temperatures. Have a look below to get a sense of some of the best ways you can make sure that your home will stay nice and warm when the cold weather arrives. For some homeowners, now is going to be the best time for them to replace their old heating system with a brand new one. You don’t want to head into the winter season with a system that might break down on you in the middle of a cold snap, after all. If you’re not sure whether or not your heating system is going to be able to get you through the coming months, now would be a good time to contact a professional and ask them about it. If you’re not sure whether or not your heating system needs to be replaced, have a look at the following symptoms. Old Age: If your heater is older than 10-20 years, depending on the type, you should really consult with a professional to see if it’s time to install a new one. That’s the usual effective lifespan for heaters of any kind. High Operating Costs: If your heater seems to be costing much more than it should be from month to month, that might be an indication that it’s time to install a new one. The years of cumulative wear and tear on the system might be causing the system to work harder than it needs to be. This contributes to higher monthly bills. Frequent Breakdowns: Heating systems that break down on a regular basis, more than once every few years, are probably pretty close to the end of their lifespan. So, your heating system is able to get you through another winter season without needing to be replaced. Great! That doesn’t mean you can just jump right into using it every day and expect it to stay in good shape, though. Before heating season starts, you should make sure that you schedule preventive maintenance for your heating system. Preventive heating maintenance gives your technician the opportunity to isolate and resolve issues with your system before they have the opportunity to get any worse. This can reduce the odds of a serious problem affecting your system by up to 90%, and increase its energy efficiency by up to 40%! If you do this every year, you can expect your heater to perform much better in the long run. DuAll Heating & Cooling offers a full range of heating services in Bolingbrook, IL. If you need heating installation or maintenance services, contact us today to schedule an appointment with one of our professional technicians.